Hexagon AB announced Xalt, a new framework for accelerating digital transformation by fast-tracking a customer’s ability to fully leverage IoT data. The goal of Xalt is to create Autonomous Connected Ecosystems (ACE), a state where data is connected seamlessly through the convergence of the physical and digital worlds, and intelligence is built-in to all processes from the core to the edge of a customer’s network, according to Hexagon AB. Xalt’s framework promises to leverage disruptive technologies that address the critical IoT points of leverage: enterprise integration; cloud orchestration; data visualization; built-in mobility; intelligent edge connectivity; and artificial intelligence (AI). It is the cornerstone of Hexagon’s ACE strategy—delivering industry-specific solutions that integrate sensors, data, and software to create smart digital realities. Need to tap the potential of your enterprise? 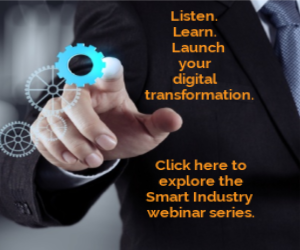 Network with digital-transformation experts at the 2018 Smart Industry Conference. Learn more here.